Whew! This is such a long overdue post. I’ve been on sick bay for the past week, and work has been quite hectic too. Finally got to sit down and blog! 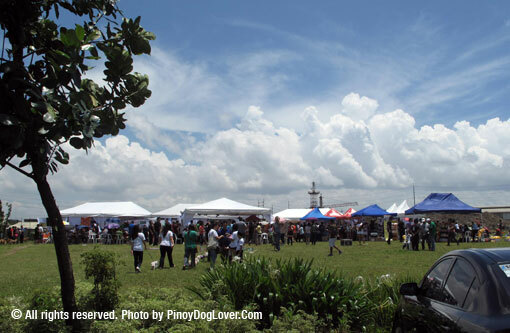 As you all know, the Doggie Fun Fair was held last 26 August 2012 at the Circulo Verde Open Field. 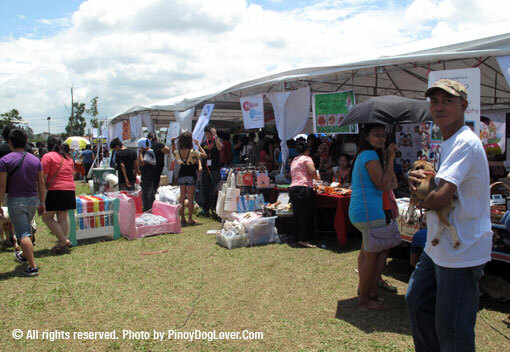 My sister Joyce has been showing interest in bringing Pixel to dog events (we all thought Pixel needs to be more socialized! 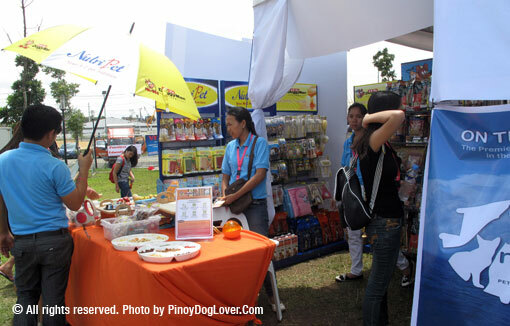 ), so together with my husband Marc, we attended Manila’s biggest dog festival: Doggie Fun Fair! We were only able to stay in the morning, as we had to go home before our dad leaves for work and keep our mom company. But it seems the furkids had a blast! 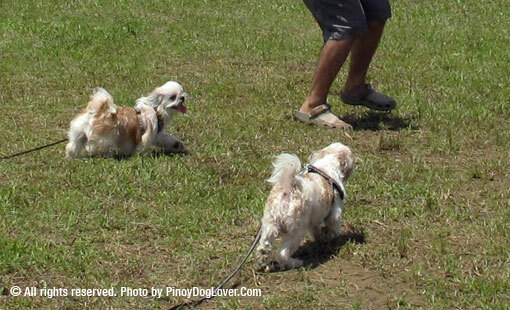 While my sister and I went around checking out booths, Marc played with the dogs in the open field. 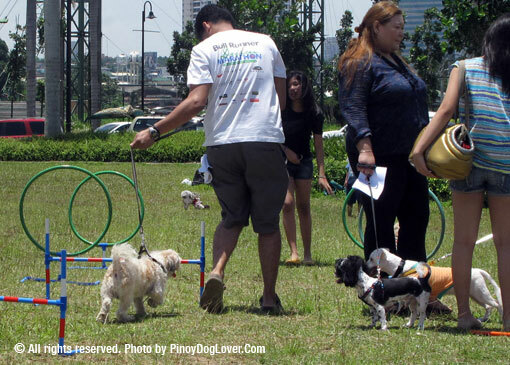 Kubrick just couldn’t resist showing off his dog agility skills courtesy of Busy Paws… The other dogs were impressed, yes? Dogs of all sizes were everywhere! 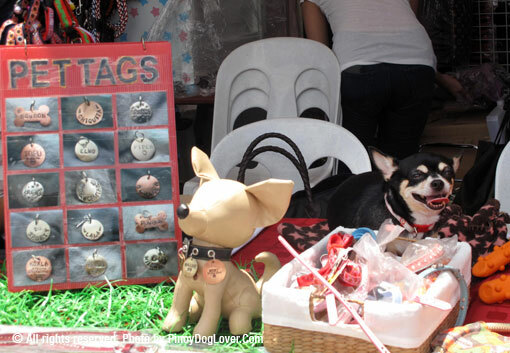 Some of the merchants even took their furry buddies along with them too. Makes selling stuff more fun, don’t you think? Of course, food was available for people too. 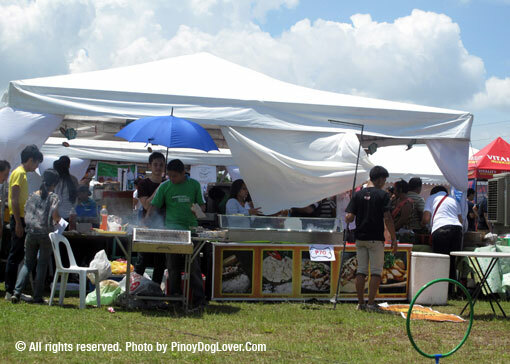 You can buy picnic-friendly food from the merchants. We weren’t able to catch much of the talks at the covered tent. 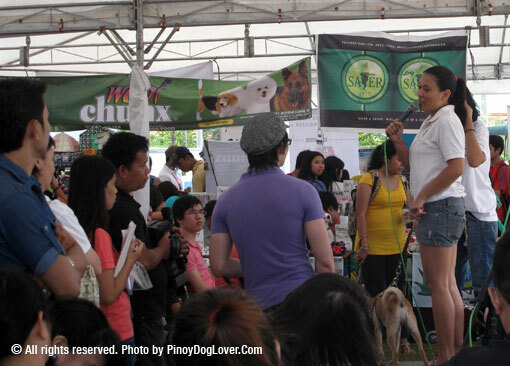 Our friends from PAWS and CARA Welfare Philippines were there! This entry was posted on Thursday, September 20th, 2012 at 11:29 pm	and is filed under Events, Pet Events in the City. You can follow any responses to this entry through the RSS 2.0 feed.